Today we release you all from cluttered tables, miss matched storage units and ever growing collection of paint pots. I present the Hobby Storage Master Collection. 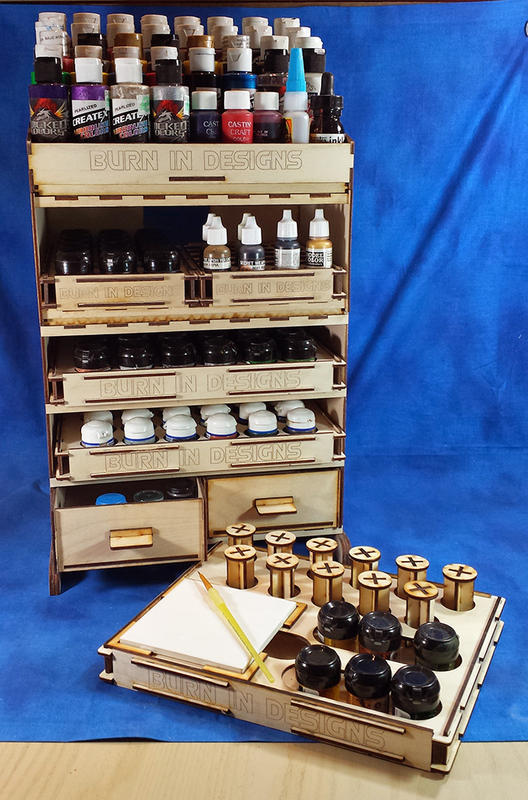 The HSMC is a complete modular paint and hobby system designed to tame almost any hobby station. 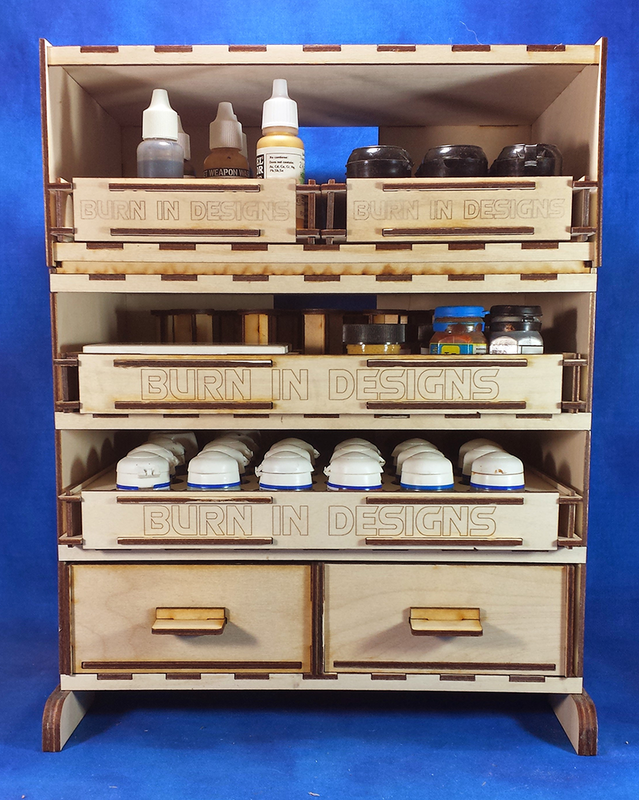 Each unit is designed to solve a specific issue from paint storage in all it various sizes to small parts management and even model painting sets. 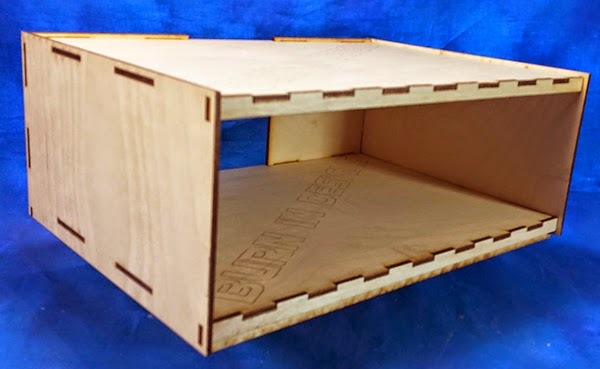 With this system you can build the kit as small or large as needed to tame your hobby collection. 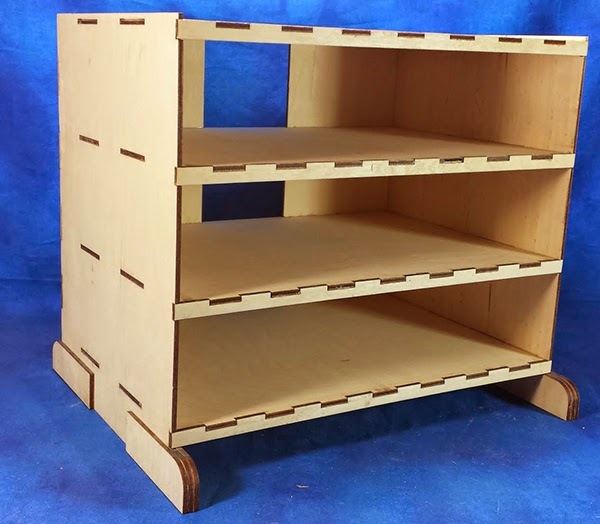 With less than at 12x10" space they units pack allot of storage in a small amount of space. 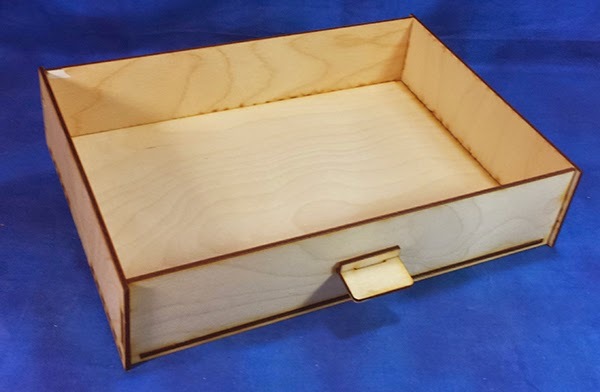 The basis for all of this is the Master Collection Tray, MCT. 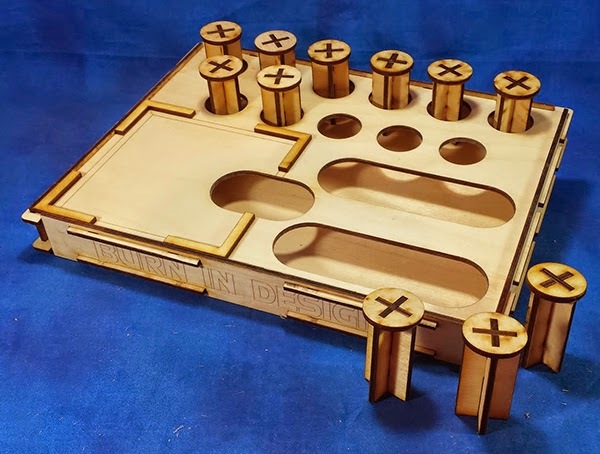 The MCTs are units cut in a pattern to fit the various parts as needed. 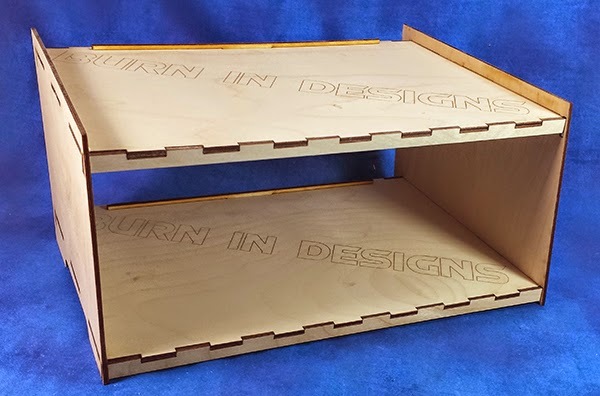 They come it 2 sizes a full tray, 9x11x1" and half tray 9x5x1". 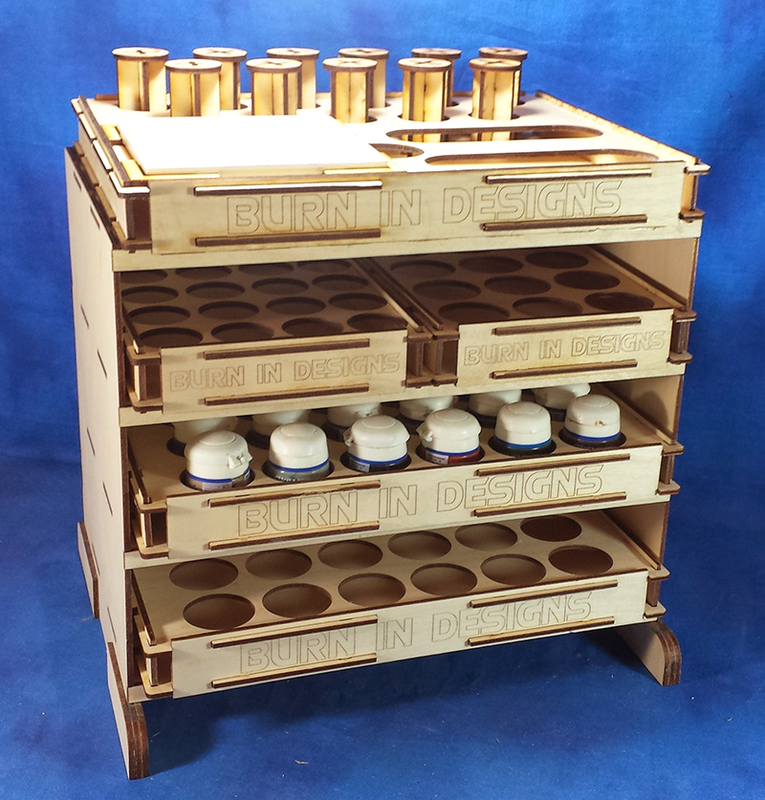 Cut patterns are set for paint from virtually all manufacturers from traditional small through tall dropper bottles. 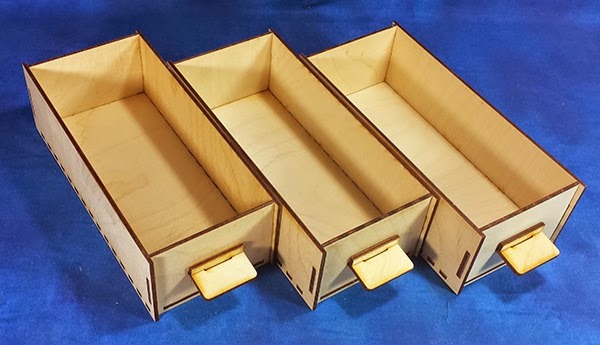 Each tray snaps together without glue. 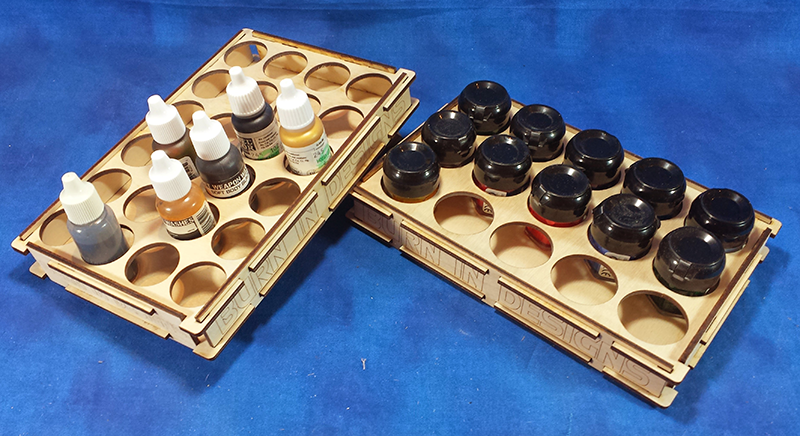 Full trays hold 48 dropper or 30 GW sized paints, 24 and 15 for half trays. 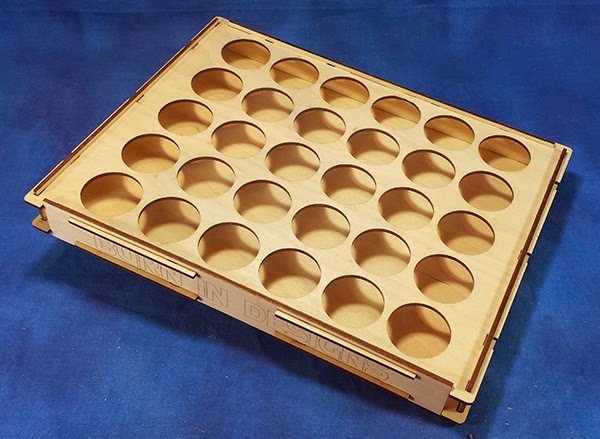 The specialty hobby tray includes space for a 4" ceramic tile pallet, not included, 11 model stand/handles and slots for 6 paint pots. Next are the Master Collection Storage Units, MCSU. All designed to accept the any number of MCTs as needed. 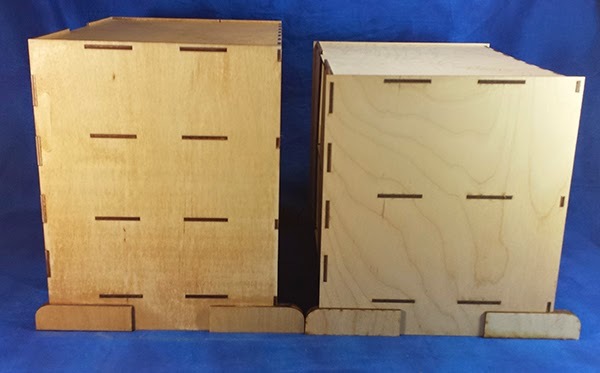 They units can be had in single, 2 and 3 level kits that interlock to create larger units. 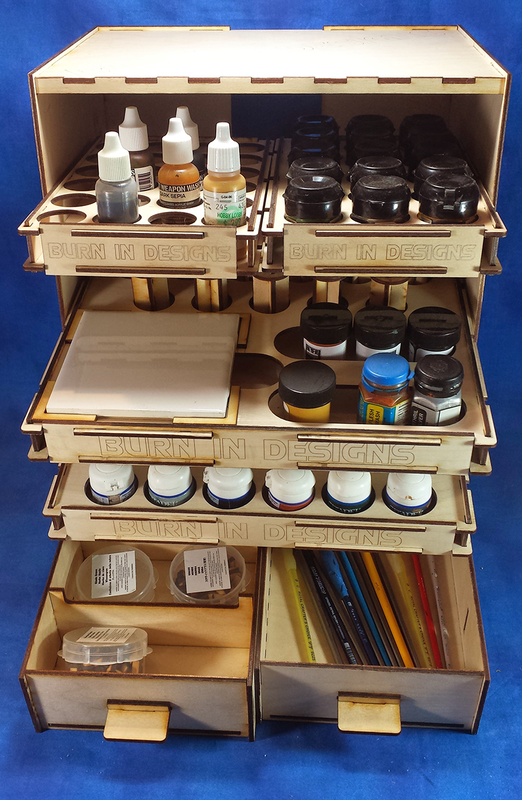 The 3 level kit is designed to hold 3 tray for short, non dropper paints with 2.75" between levels. 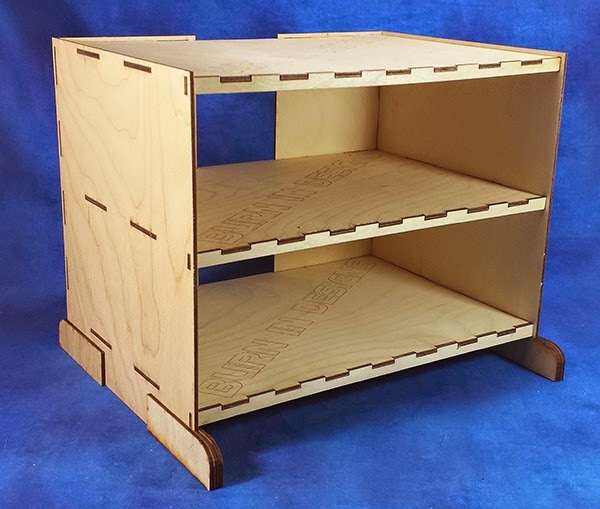 The 2 level unit expends the height to 3.75" for dropper bottles or hobby painting trays. 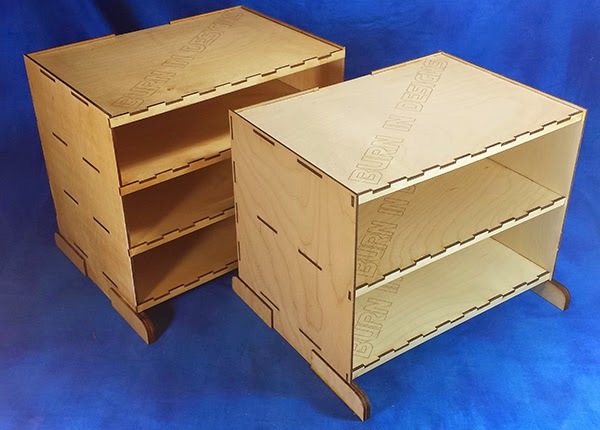 Single units are available in either size and stack together. 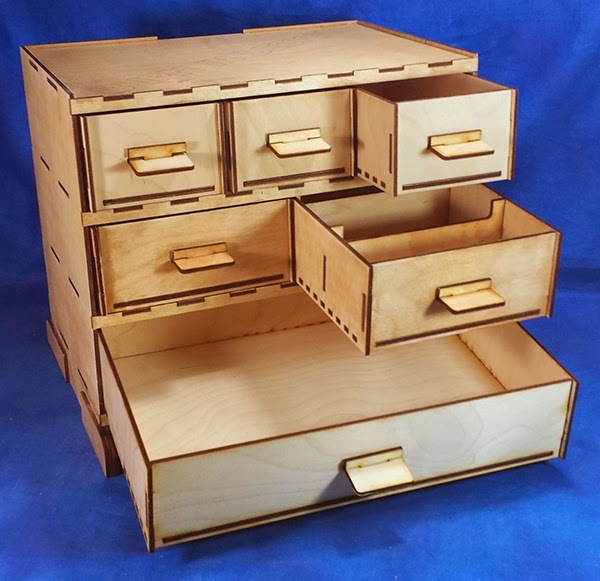 Finally we have the Master Collection Stepped Topper, MCST, and the Master Collection Drawer Units, MCDU. 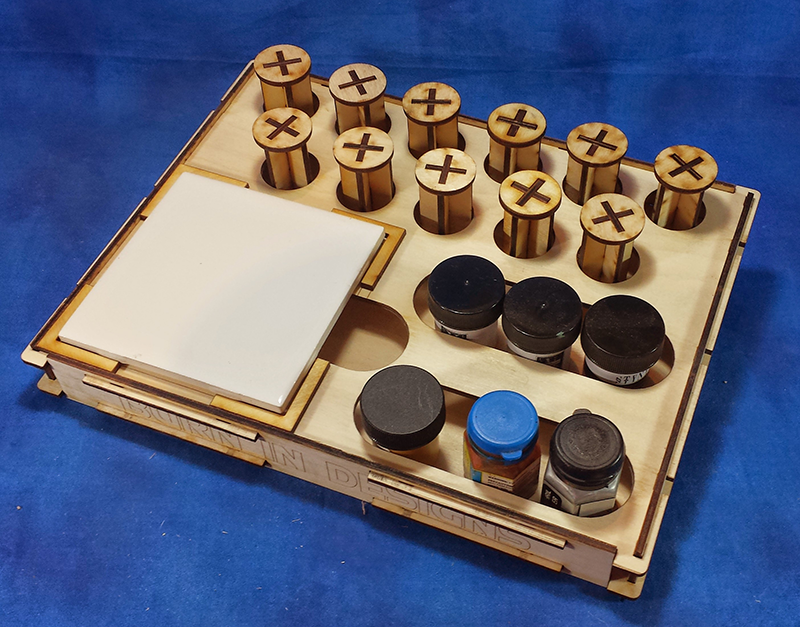 These pieces will now allow you to tame the last few bits including the large 2oz bottles used by airbrush and craft paints or glue bottles. 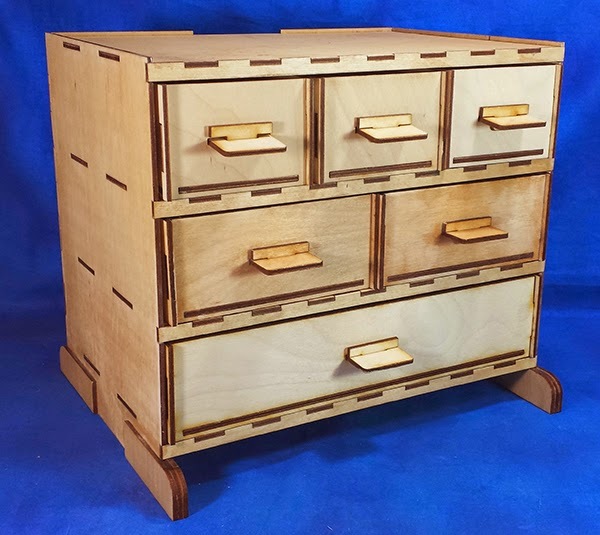 The drawers are designed to fit the 2.75" storage units and available in 3 sizes, 3 drawer, 2 drawer and single drawer. 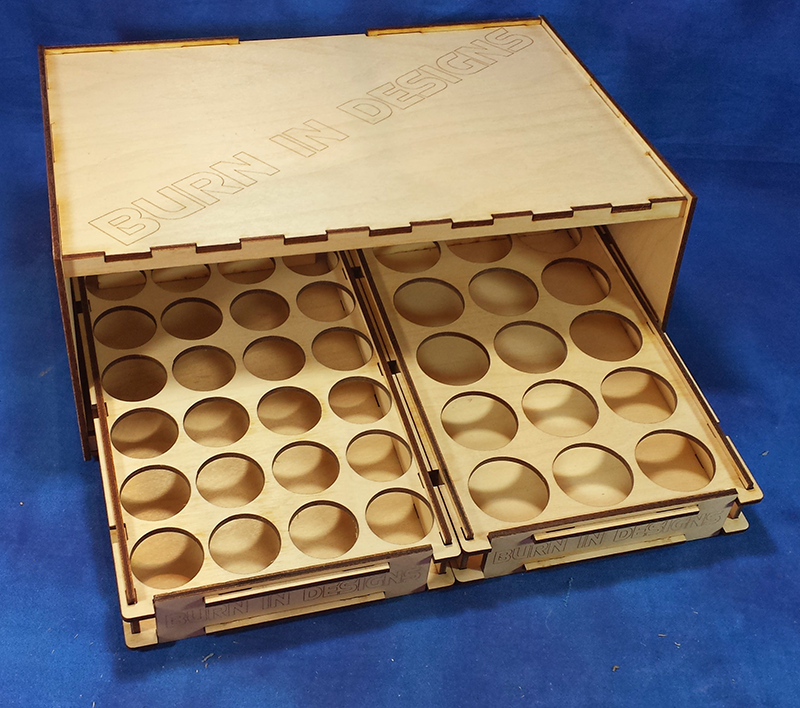 All are full depth with fully supported bottoms for added strength. As a special launch even package we are offering 4 starter sets to kick things off. 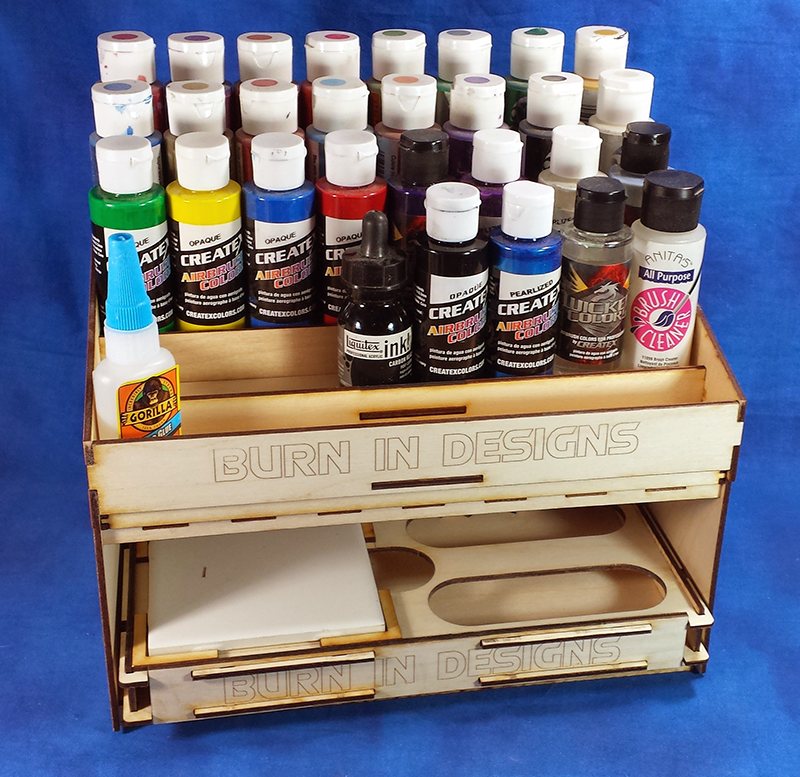 MCGWS-10, $80 includes 1 - MCSU-3275 storage unit, 3 - MCT-GWF1 trays and holds a 90 paints. 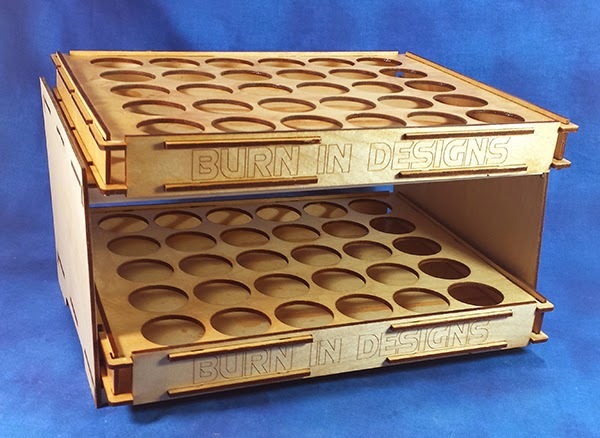 MCDBS-10, $80 includes 1 - MCSU-2375 storage unit, 2 - MCT-DBF1 trays holding 96 dropper bottle paints and 1 - MCT-HT1 Hobby tray. 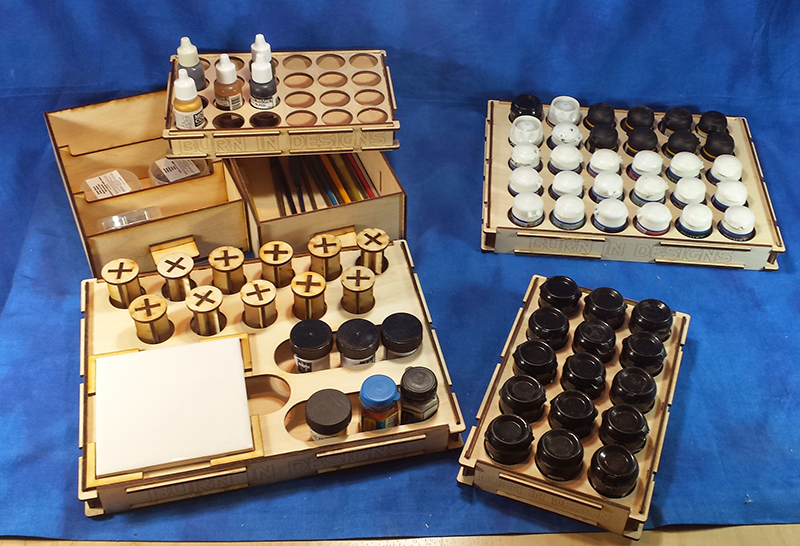 MCOFGWS-10, $45 includes 1 - MCOF-01 2 level, open framed storage unit, 2 - MCT-GWF1 trays and holds 60 paints. 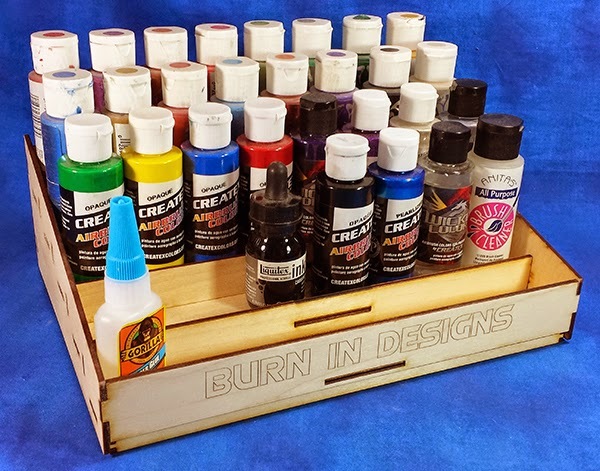 MCOFDBS-10, $45 includes 1 - MCOF-01 2 level, open framed storage unit, 2 - MCT-DBF1 trays and holds 96 paints. 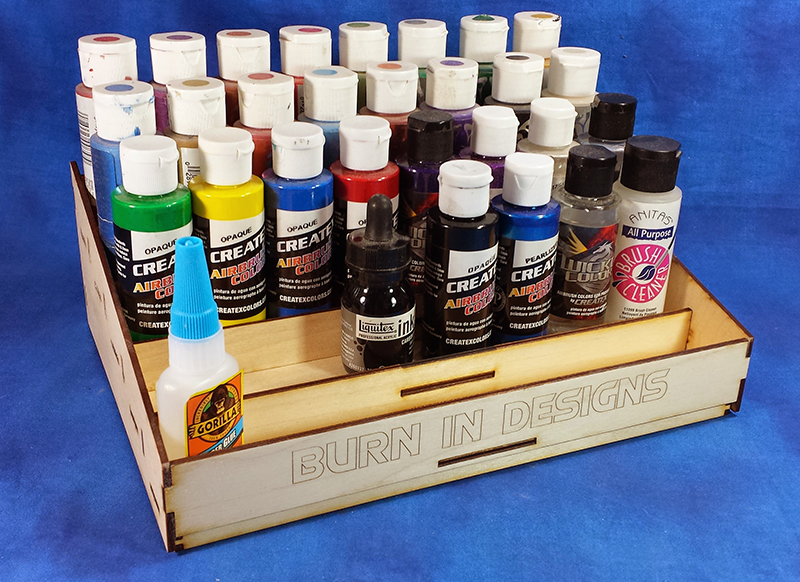 MCT-DBH1, fits dropper bottle paints from Vallejo, Reaper and Secret Weapon. Recommend for use with the MCSU-2375 or MCSU-1375. 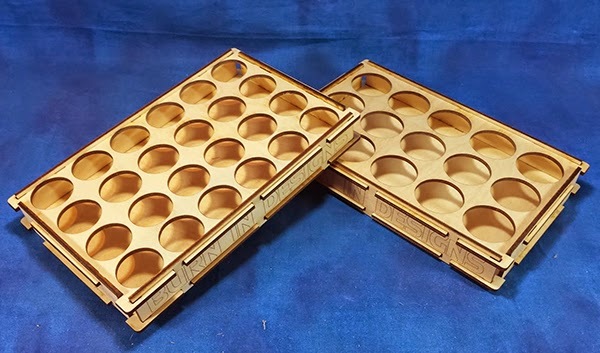 MCT-HT1, 4" tile pallet not included with set. 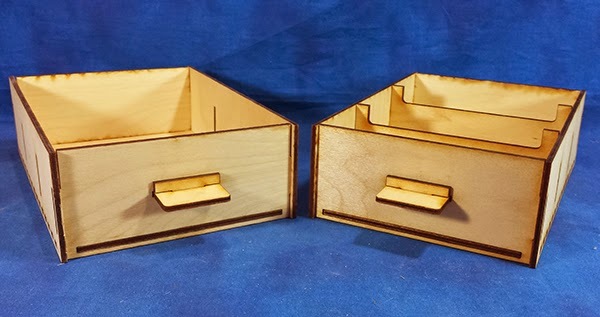 Unit will fit both sizes of MCSU. 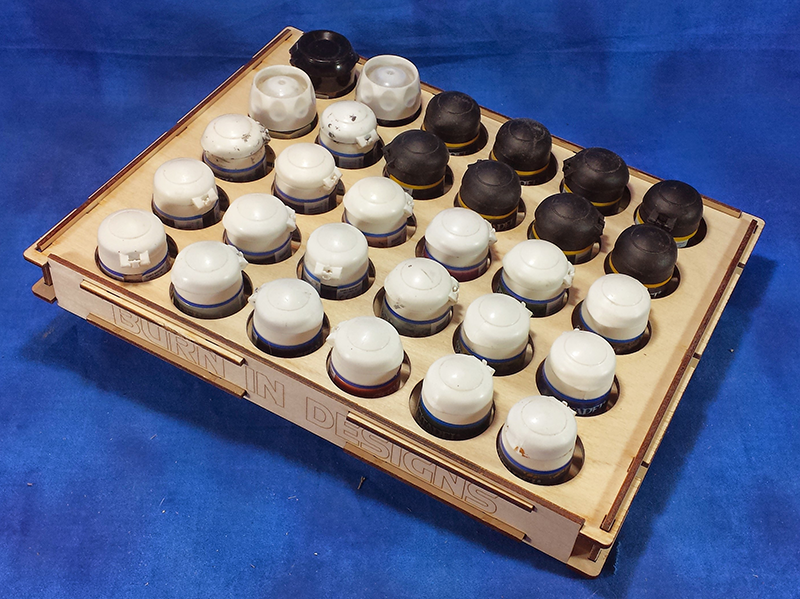 MCSU-1375, shown with various dropper bottles. MCSU-3275, with a basic load out. 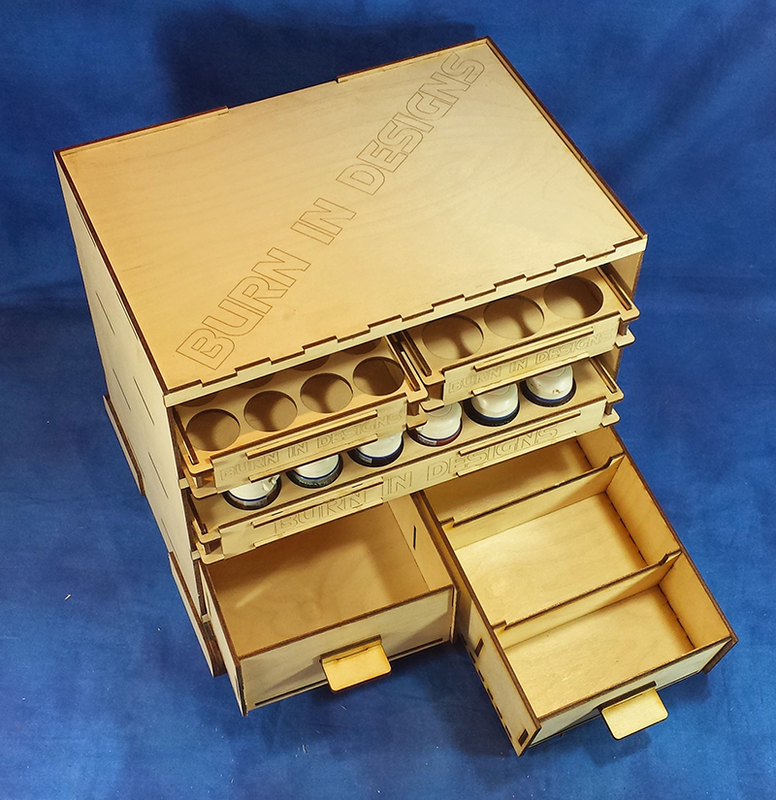 MCDU-255 comes with 2 dividers that can be added to either or both drawers for easier sorting. MCST-001, Shown with tall craft paint bottles on top of a MCSU-1375. 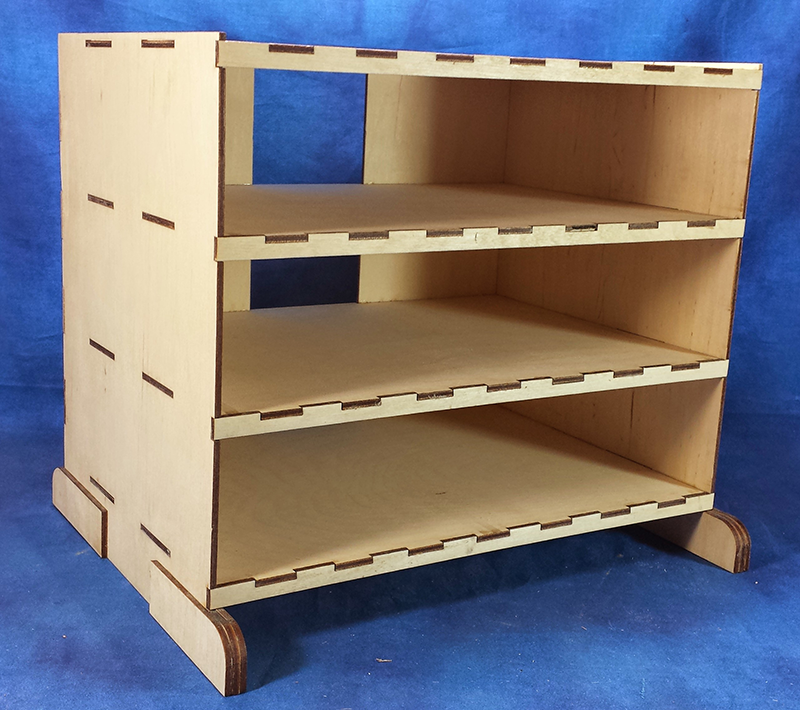 The unit is 5 levels tall and fits on top of any MCSU or can be stacked side by side as a stand alone storage system.